For First Time, Commission On Presidential Debate Mandates Oct. 9 Town Hall Moderators Ask Questions With Input From The Internet. Co-Chair Mike McCurry: Public Questions "Carry Greater Weight." WASHINGTON - Immediately after the first presidential debate, the cross-partisan Open Debate Coalition is announcing that the public will submit and vote on questions at PresidentialOpenQuestions.com -- and ABC and CNN have agreed to receive the most popular 30 questions for consideration in the October 9 presidential town hall debate. For the first time, the Commission on Presidential Debates (CPD) has mandated that moderators of the town hall debate ask questions with input from the internet -- not just questions from voters in the physical room. In 2008, President Obama and Senator McCain endorsed the coalition’s call for bottom-up questions, but the CPD did not incorporate the idea until this year. "The commission was watching closely as the Open Debate Coalition tested out their innovative bottom-up question submission and voting platform in the primaries this year, and we were impressed with the results,” said Mike McCurry, Co-Chair of the Commission on Presidential Debates, “This year's presidential debate moderators will have a rich pool of voter-submitted questions they can draw on that carry greater weight because they are backed by votes from the American people." Top ABC and CNN debate producers had meetings recently with Open Debate Coalition Director Lilia Tamm Dixon, Americans For Tax Reform President Grover Norquist, and Progressive Change Campaign Committee Co-Founder Adam Green -- leading to their agreement. This followed over a year of engagement between the coalition and CPD in advance of the historic announcement that town hall moderators must ask questions with input from the internet. Question submission and voting is now open at PresidentalOpenQuestions.com and coalition organizations will ask their supporters to participate. "A more open democracy is always a better one,” said Arianna Huffington, founder of The Huffington Post and health-and-wellness startup Thrive Global. “In this critical election year, it is imperative that the questions on the minds of voters are asked and answered. ABC and CNN deserve kudos for embracing this participatory model."  "As technology changes, questions posed by moderators to candidates should reflect bottom-up participation from the public -- reinforced by strong follow-up questions and fact checking to ensure the public's questions are answered," said Craig Newmark, founder of craigslist. "I'm proud to be a founding member of the Open Debate Coalition because bottom-up questions and trustworthy moderation that represents the will of the people is an idea whose time has come." "We've seen bottom-up online energy thrust new ideas like debt-free college into the national spotlight and 2016 presidential campaign," said Heather McGhee, President of Demos Action, the action arm of think tank Demos. "This same ethos would be a breath of fresh air for our political debates and a major step forward for democratic participation." "NumbersUSA will reach out to the seven million Americans in our network, urging them to participate in this innovative bottom-up process to ensure that moderators can engage on topics such as immigration and border security in a way that educates voters and truly addresses their questions," said Roy Beck, Executive Director of NumbersUSA. 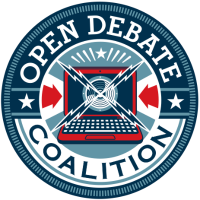 Open Debate Coalition is the sponsor of the OpenPresidentalQuestions.com project—bringing together the PCCC, Americans for Tax Reform, and dozens of influential left, right, and Silicon Valley coalition members to give the public a voice in the second debate, which will feature questions from the internet.